These cocktail inspired Tart Mojito Cherry Popsicles are a refreshing way to beat the summer heat! Plus, the blend of recovery-boosting tart cherry juice and protein-laced Greek yogurt is a perfect post-workout routine. This post contains affiliate links. “Creating DIY snacks with real foods, like Montmorency tart cherries, nuts and seeds, gives your snacking habits an upgrade. 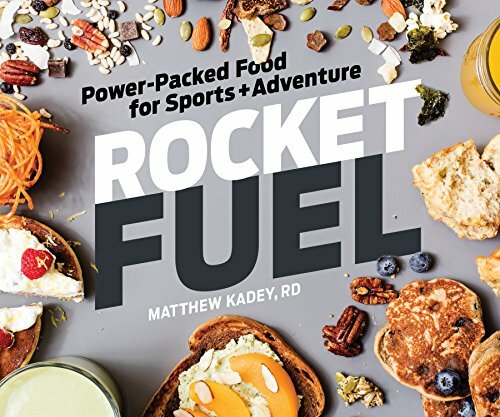 Not only do ingredients like these offer endless variety in flavor and texture; their nutrient density will also make your snacks work harder for you,” said Matthew Kadey, registered dietitian and author of Rocket Fuel: Power-Packed Food for Sports and Adventure. Montmorency tart cherries, which are grown in North America, are packed with anthocyanins – natural compounds that provide their ruby-red color, distinctive tart taste and potential health benefits. For those bolstering their exercise regimens this summer, there are added reasons to take a look at tart cherries. Studies have shown that Montmorency tart cherry juice may help reduce strength loss and aid recovery after extensive exercise. 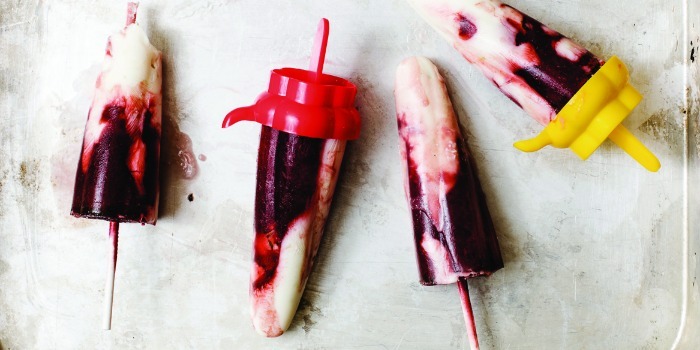 These cocktail-inspired popsicles are a refreshing way to work both recovery-boosting tart cherry juice and protein-laced Greek yogurt into your post-workout routine. Try whipping up a batch of Cherry Mojito Popsicles today! This recipe is courtesy of Rocket Fuel by Matt Kadey, RD. For more recipes or to find out more about Montmorency tart cherries, visit ChooseCherries.com. Step 1: Stir together yogurt, honey and lime zest. In separate bowl, stir together tart cherry juice, lime juice, mint and rum, if desired. Step 2: Spoon two alternate layers of yogurt and cherry mixture into each mold. Insert sticks into molds and freeze until solid, about 6 hours. Step 3: To unmold pops, run mold under warm water for a few seconds, being careful not to thaw pops. Store in freezer for up to 2 months. 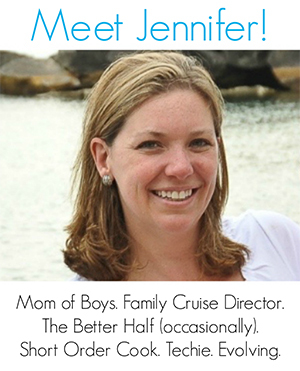 Find more summer-inspired recipes on The Jenny Evolution! oh yea! Thanks for sharing on the What’s for Dinner link up and don’t forget to leave a comment at the party – Next week’s features that also leave a comment get pinned and tweeted! 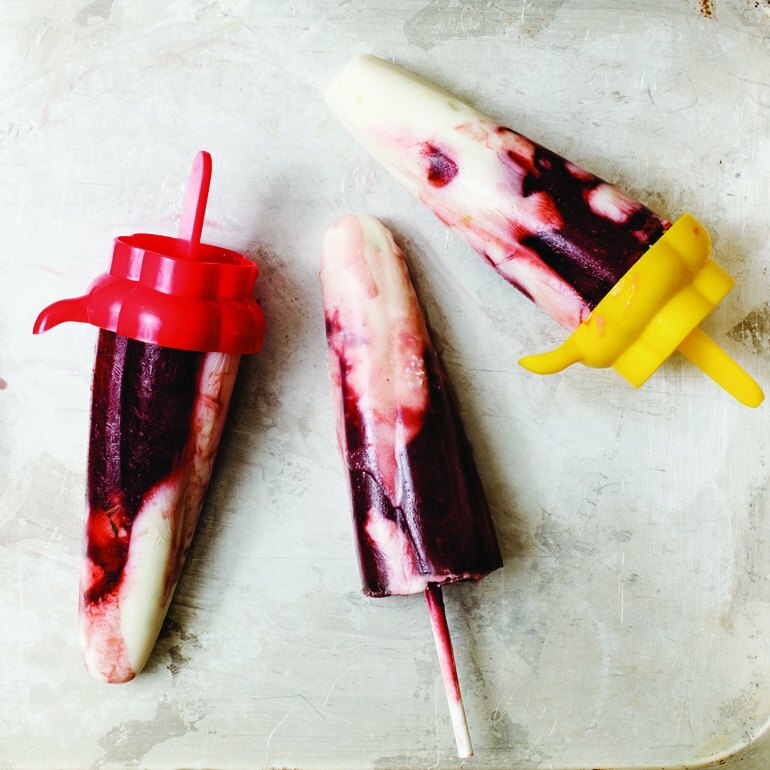 Now that’s my kind of popsicle 😉 Thanks for linking up to the Creative K Kids’ Tasty Tuesday, I can’t wait to see what you come up with next week!